When outside Poland, the system automatically transfers to new frequency. All settings can be remotely controlled. Sat-Dog enables you to group your vehicles according to your needs. 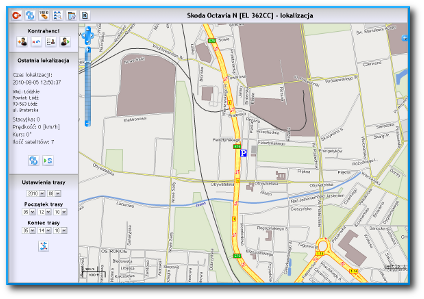 You can check current location of all of your company's vehicles, a chosen group or just a single one. Current location of vehicles is updated every 60 seconds or whenever you want - just click. 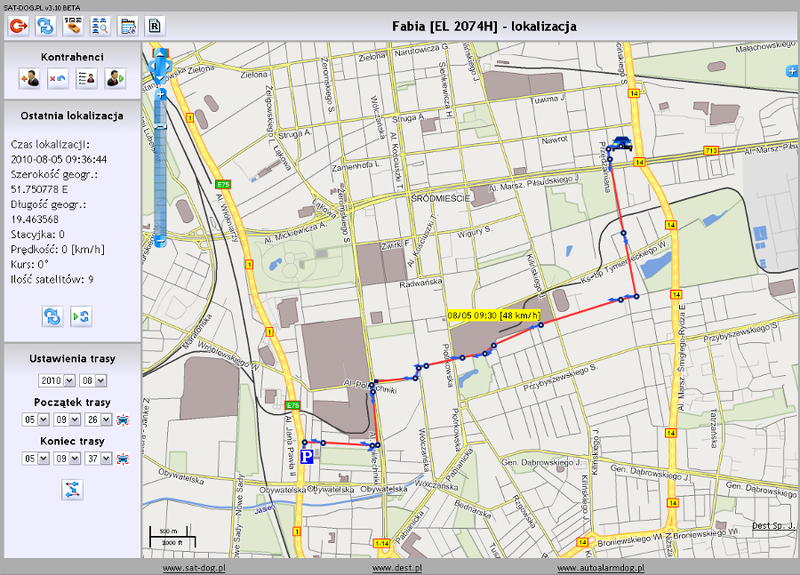 Sat-Dog operates on Map Center produced by E-Maps, which provides reliable mapping of all towns and cities in Poland and in Europe (from those in Portugal to Sankt Petersburg, Russia). Maps are updated every four months. Data collected from all the vehicles are stored on our servers. On request, this time can be prolonged. Vehicle's tracking data can be selected and viewed according to any time period you choose - from a single drive to a whole day, week or month's driving. Sat-Dog module can identify different drivers! For this extra function, every driver is equipped with a personalized identifier which enables Sat-Dog to recognize its owner and store all the collected data under his/her name.